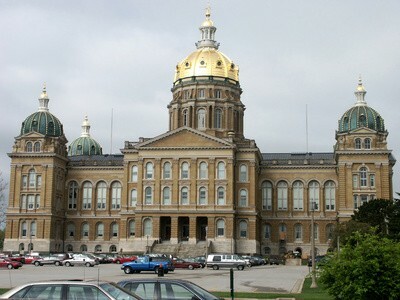 A friend of mine that is working in the Iowa Senate as a clerk this year asked me what one thing I would like to see done by the Iowa Legislature this year. My answer to him was simple. Â Current Iowa gun laws have several issues that would be helpful to address, but the most glaring issue is actually something that is missing: the right to keep a gun in an employee’s vehicle while parked at their employer’s parking lot while there for work. Â Without specifically speaking to this issue, an employer in Iowa currently can prevent an employee with a legitimate permit to carry from protecting themselves while commuting to work. Â A growing number of states have been adding protections so that employees can keep their weapons locked in their vehicles despite an employer’s ban of weapons on company property. Â Iowa should do likewise. Gun rights for employees. Â Grant employees the right to keep firearms locked in their vehicles while parked in employer-provided parking, or while going about company business (discussion above). Address road and bridge repairs. Â This has been a painful issue across the state as roads and bridges have gone into disrepair as the Road Fund has dwindled. Â A lot of hand-wringing over the Gas Tax has failed to bring a solution to the issue. Â I don’t think raising the Gas Tax is the way to solve this. Â The Gas Tax is in no way an equitable approach to sharing the cost based on usage in an age when consumption is less and less tied to miles driven and weight, especially with the growth of more fuel efficient vehicles and the use of alternative fuels (electricity and hydrogen in particular, although I’ll grant hydrogen has not yet made a significant entry in Iowa). Â The most equitable solution would be to establish mileage monitoring of resident vehicles and toll roads on the major interstates and highways. Â Equitable, but not practical. Â I think the most practical and reasonable solution is to finance repairs out of the General Fund with revenue from Sales Taxes and commercial transport fees (trucks). Â While some may consider this inequitable, the fact is that in general Iowan’s benefit from the availability of roads, for personal driving, access to emergency services, shipping of products consumed by Iowans, etc. Â Frankly, roads are a critical part of a thriving economy and without taking proper care of them, we stand to suffer significant loss over time. Provide access to “approved” medication. Â I was pleased to see the Cannabis Oil legislation passed last session until those that this was provided for (including some close friends) discovered there is no legal or practical way to deliver the medication to them in Iowa. Â I don’t know if those who supported the legislation in the Assembly already realized that there efforts were a practical smoke screen or not, but providing a “get out of jail free” card to patients, which is all the law effectively does, is clearly not the way to solve this. Â All forms of Medical Marijuana, at least as far as approved, should be made available as needed. Â I do not support recreational availability of this drug, but I do think it should be removed from the class 1 list, and frankly it should be treated exactly like opioids. Â We have much more dangerous and addictive drugs than marijuana available to patients today. Â With the known benefits of cannabis, our current situation is shameful. Â I realize there are Federal issues involved, but it is time work on this seriously and with vigor. Eliminate the State Income Tax. Â As with many grassroots movements, we will struggle to eliminate the Federal Income Tax (which also needs to be eliminated) without broader consensus among the States. Â Currently, seven states have no income tax. Â There is no reason that Iowa can’t proceed with shifting from an income-based system to a more fully sales-based system. Â I’m not in favor of replacing the current tiered income tax with a flat-tax. Â Frankly, I believe that dropping the income tax will actually improve our economy as people will have more of their own resources to work with, and that any increase in the Sales Tax will need to be adjusted to account for the fact that there will be a larger base of sales to tax than exists today. Â The biggest risk of taking this path is that legislators may increase the Sales Tax further than needed, and then won’t have the gumption to return the additional revenue to the people of Iowa (been there before). Â Eliminating the Income Tax will also make Iowa a more attractive state to live and do business in. 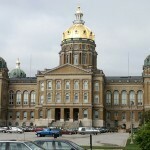 Definition of Life Amendment to the Iowa Constitution. Â It’s time that we get this issue out on the table. Â Life begins at conception, period. Â Unfortunately, while many on the Right have pushed for this, those on the Left will oppose any discussion whatsoever in order to provide cover for their party members (in the Iowa Senate, of course). Â I doubt this will happen, but with some new Democrat blood in the Senate, perhaps it may be possible? Â Lacking success in this arena, we also need to make sure that efforts to expand abortions are blocked, and opportunities to limit them further are taken. Â I want abortions copletely abolished everywhere, but I will support any effort to abolish as many as possible. I’m sure that you, the reader, have other items you think belong on this list. Â If you shared those with me, I might be reminded or convinced, but right now these are the things are that front-of-mind for me and seem the most pressing to improving the lives of Iowans. Â There are a few other items that I think merit some discussion and action if possible, but are not as critical to be addressed as these in my opinion. Â I hope to speak to some of these other issuesÂ in coming days.